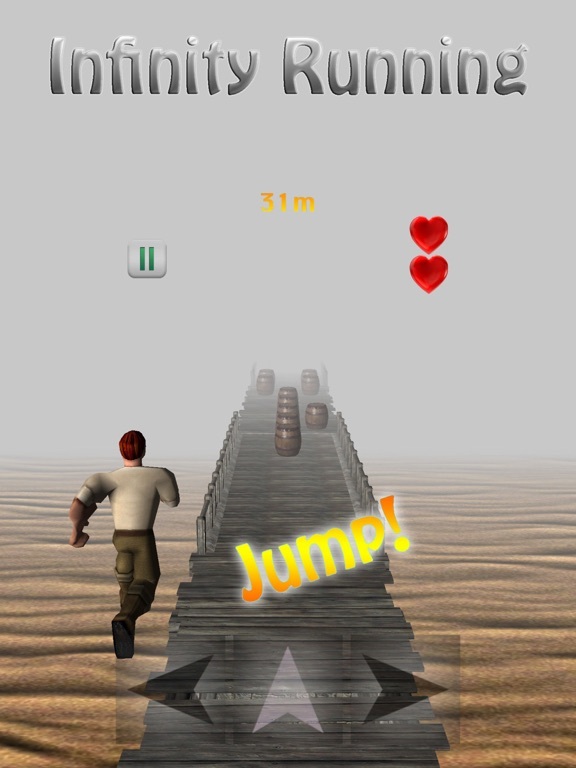 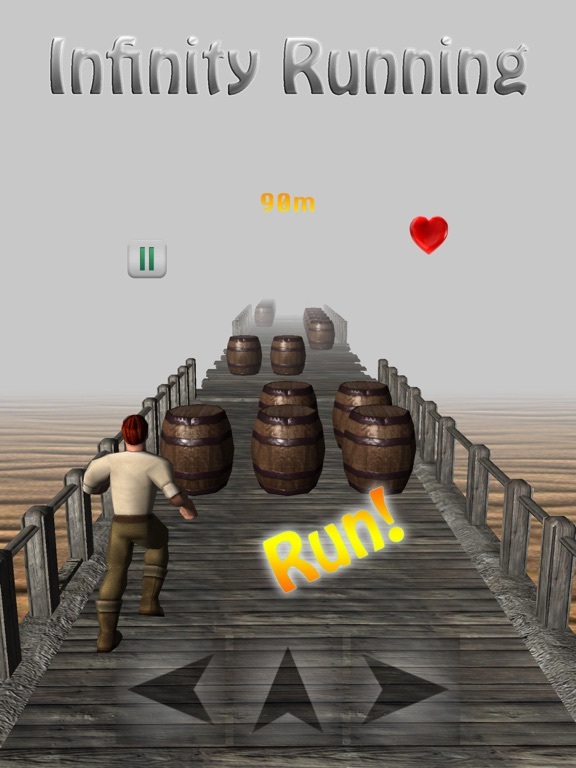 It is a classical running game. 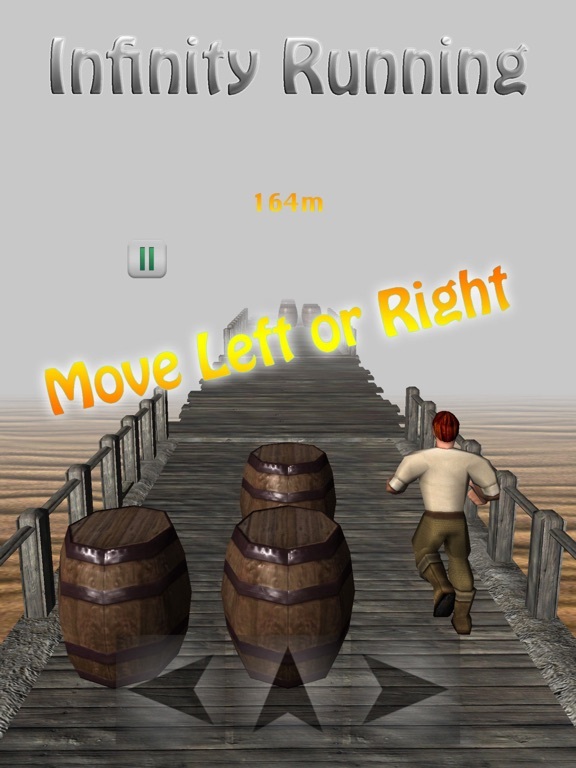 Control the character move left, right or jump up. 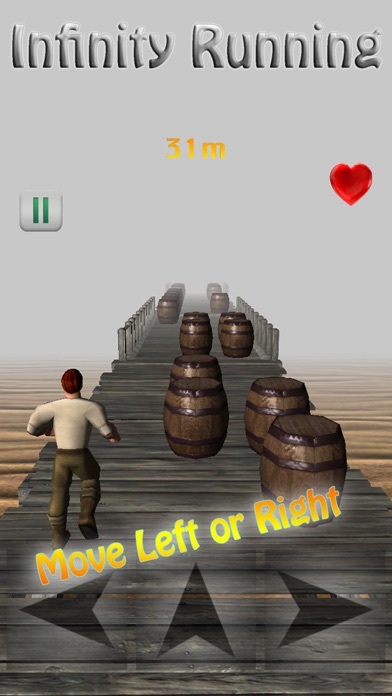 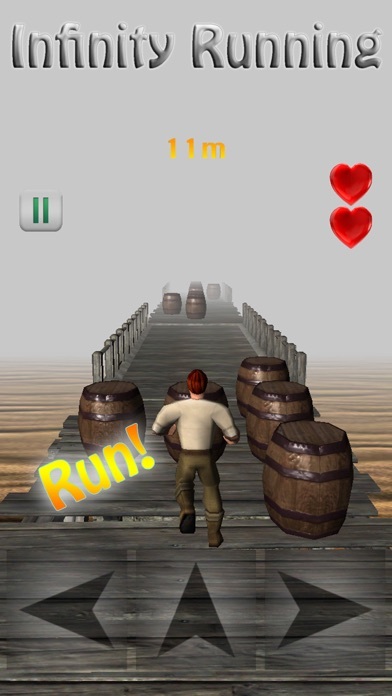 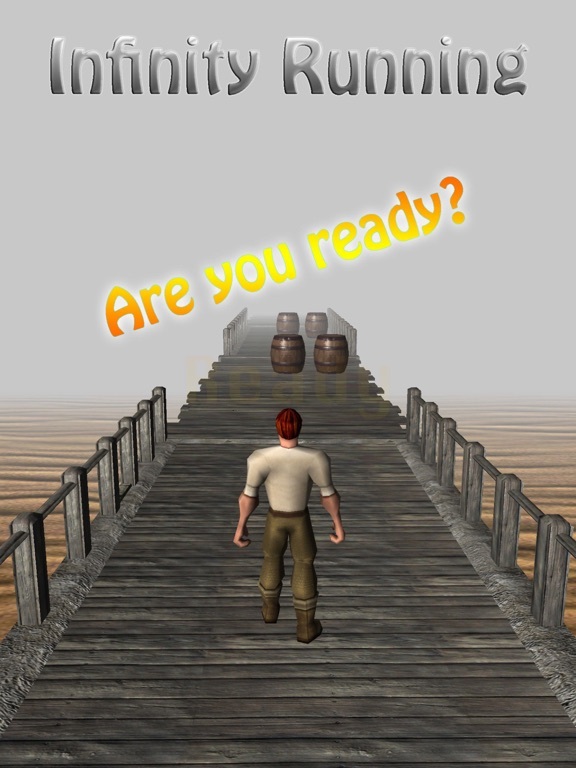 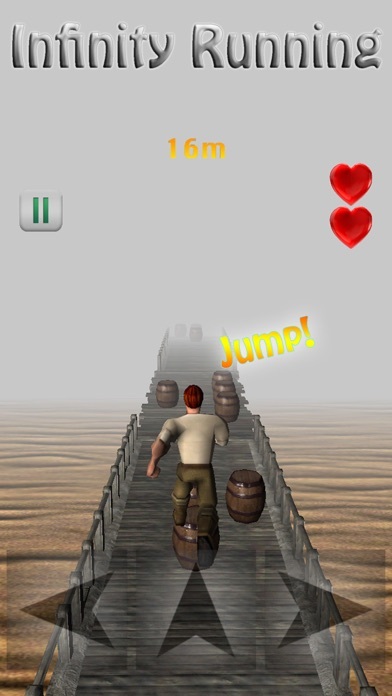 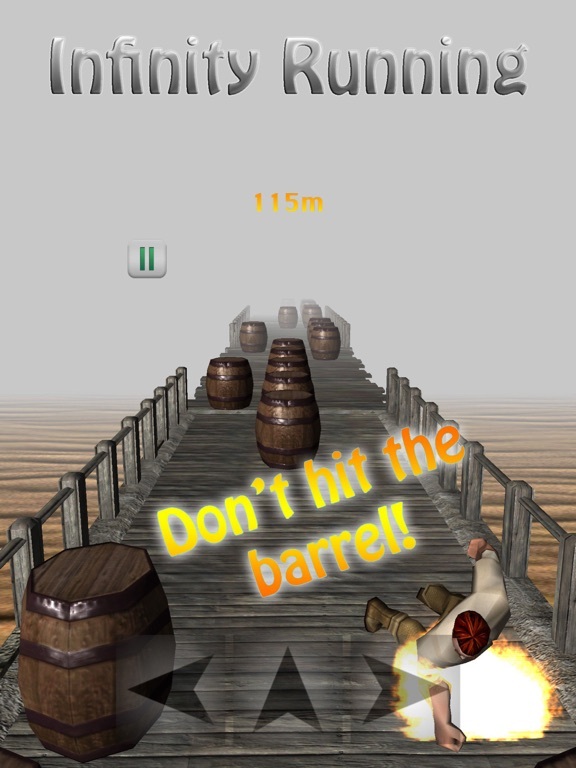 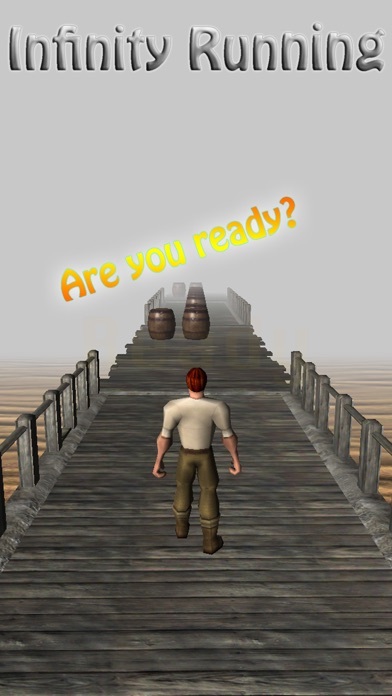 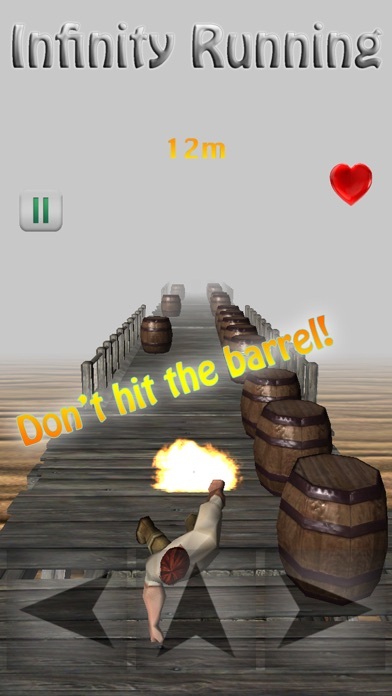 Keep away from barrels, run as far as you can.